Steve serves as Chair of the firm’s Energy, Climate Change & Public Utilities Practice Group. He concentrates his practice in public utility law, with a particular emphasis on energy regulatory matters. Since 1996, Steve has played a lead role in literally all matters of consequence before the New Jersey Board of Public Utilities, including the restructuring of the State’s electric and natural gas industries from a monopoly to a competitive model, utility rate and merger proceedings, energy infrastructure proceedings, and regulatory matters involving the formulation and implementation of the State’s energy policies. 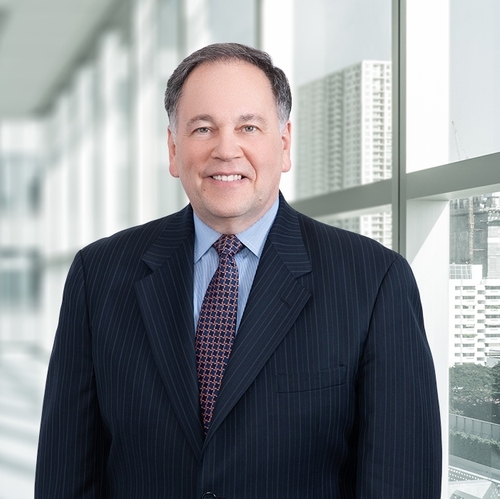 In these proceedings, Steve has represented the interests of large commercial and industrial establishments, independent power producers, energy service companies, renewable energy companies, and marketers of electricity and natural gas. Steve founded and represents the New Jersey Large Energy Users Coalition, which is comprised of some of the State’s largest industrial and commercial businesses, including pharmaceutical companies and major manufacturers. Steve also founded and represents the New Jersey Distributed Generation Coalition, which is comprised of energy service companies, engineering firms, financial institutions and equipment manufacturers. Steve also represents one of the world’s largest energy service companies in the development of energy efficiency and combined heat and power projects. He also represents independent power producers and an independent transmission company in connection with the development of power plant and transmission infrastructure projects. Steve has, for years, been actively involved in the development, refinement and implementation of the State’s energy policies. He has assisted several governors in the development of Statewide Energy Master Plans and served as Chair of the Christie Administration’s Energy Master Plan Task Force on Energy Efficiency and Renewable Energy, whose purpose was to formulate policy regarding the future funding, administration and implementation of the State’s renewable energy and energy efficiency programs. Steve also assisted the development of the State’s first-in-the-nation Energy Resilience Bank, which has funded the development of grid-independent cogeneration facilities at numerous of the State’s hospitals. Steve has also authored or assisted the Legislature in the development of several energy bills signed into law that fostered the development of cogeneration and district energy facilities and the implementation of self-funded energy efficiency projects. He is currently pioneering the development of a broad-based energy infrastructure public private partnership initiative as part of the State’s post-Superstorm Sandy policy to enhance the resilience and reliability of its energy infrastructure. Steve is a registered Governmental Affairs Agent (lobbyist) in New Jersey on behalf of a variety of clients that conduct business with the State. His governmental affairs practice focuses primarily on energy-related matters and government procurement issues. Steve has been involved with significant procurements by the State, including energy-related procurements, the formation of public-private partnerships, and the privatization of the State’s automobile inspection system. He also frequently represents builders and developers in disputes with utilities. Steve served a seven-year tenure as Special Counsel to the Board of Public Utilities, during which he served as legal counsel to then-BPU President Christine Todd Whitman, former Governor of New Jersey. Steve served as law clerk to the Honorable David B. Follender, J.S.C. of the Superior Court. Steve co-authored the book “Inside the Minds of Energy Lawyers, Winning Energy Law Strategies”, which provides a comprehensive overview of the practice of energy law and addresses the current and future state of energy regulation. Steve is also a frequent speaker regarding energy-related topics for business and professional organizations.